AgiliaLinux was a Russian community distribution with roots in Slackware Linux. It features a custom text-mode system installer with installation classes, an advanced package manager called mpkg, and support for several popular desktop environments. 2013-04-13 NEW • Distribution Release: Pardus Linux 2013 "Community"
Rate this project Following the release of the "Corporate" edition last month, the Pardus development team has now also released the "Community" flavour of Pardus Linux 2013 (or "1.0" as it is called in the announcement). 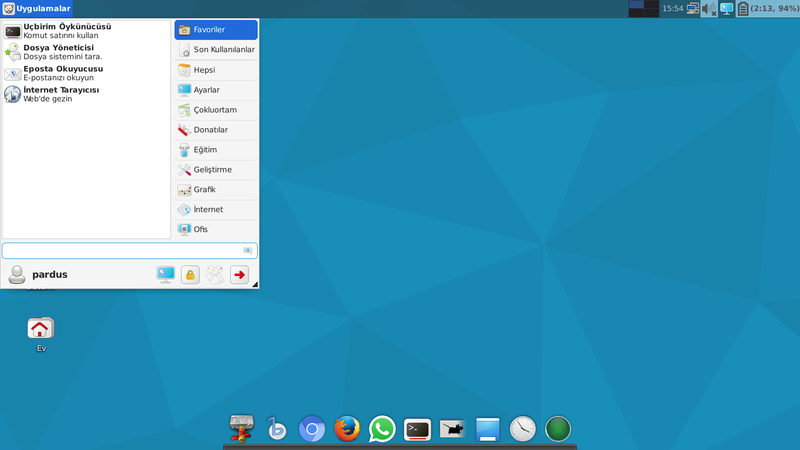 Available in both Turkish and English, the "new" Pardus is a desktop-oriented distribution based on Debian's "testing" branch. From the release announcement: "We are doing a stable and useful Linux called Pardus Community edition 1.0. We are sure you'll enjoy the many improvements. We have done our best in terms of stability and security that you have come to expect. Pardus Community edition 1.0 is now based on Debian 'Wheezy' and built using tools provided by the debian-live project. Easy to install and use. And also all drivers are included. All images boot as live CDs but they can be installed on your computer with the included installer." Download the GNOME or KDE variant from SourceForge: pardus_community_2013_gnome_64bit_en.iso (1,748MB, MD5), pardus_community_2013_kde_64bit_en.iso (1,941MB, MD5). • 2013-09-21: Distribution Release: Pardus Linux 2.0 "Community"
• 2013-08-25: Development Release: Pardus Linux 2.0 RC2 "Community"
• 2013-04-13: Distribution Release: Pardus Linux 2013 "Community"
2013-09-21 Distribution Release: Pardus Linux 2.0 "Community"
Ortanca Samuray has announced the release of Pardus Linux 2.0 "Community" edition, a Debian-based distribution featuring a customised GNOME 3.8 desktop with usability extensions, pre-configured multimedia codecs and pre-installed device drivers: "Pardus Community 2.0 GNOME has been released. Linux kernel 3.10.11; 3D Ironvolt icon set; simplified installation; GNOME 3.8.4 (with GNOME Shell 3.4.2); pre-installed NVIDIA 304.108 and ATI 13.4 drivers; all multimedia codes and firmware; LibreOffice 4.1.1; Firefox 24.0; Thunderbird 24.0; Chromium 29.0.1547.57; Adobe Flash player 11.2.202.310; VLC media player 2.0.8; Skype 4.2.0.11; TeamViewer 7.0.9377; Wine 1.4.1; GIMP 2.8.6, Scribus 1.4.3, Inkscape 0.48." Here is the brief release announcement. Download the English or Turkish language variants of Pardus Linux 2.0 "Community" edition from SourceForge: pardus_community_2.0_gnome_64bit_en.iso (1,773MB, MD5), pardus_topluluk_2.0_gnome_64bit_tr.iso (1,781MB, MD5). 2013-08-25 Development Release: Pardus Linux 2.0 RC2 "Community"
Ortanca Samuray has announced the availability of the second release candidate for Pardus Linux 2.0 "Community" edition, a Debian-based distribution with a choice of GNOME and KDE desktops: "Pardus Community 2.0 RC2 is ready. Pardus Community 2.0 RC2 is released and available in four flavors - GNOME (x86, amd64) and KDE (x86, amd64). Community versions are suitable for personal use, incorporating all the applications needed by end users. Debian 'Sid' is used for building the Community edition. Improvements have been made to the ATI and NVIDIA drivers (NVIDIA 304.88, ATI fglrx 13.4). For notebooks with dual graphics card the problem is now solved. Problems with pardus-config-xorg are also solved. Pardus Installer has been simplified and relation problems with OpenGL and Mesa GLX are now also solved. 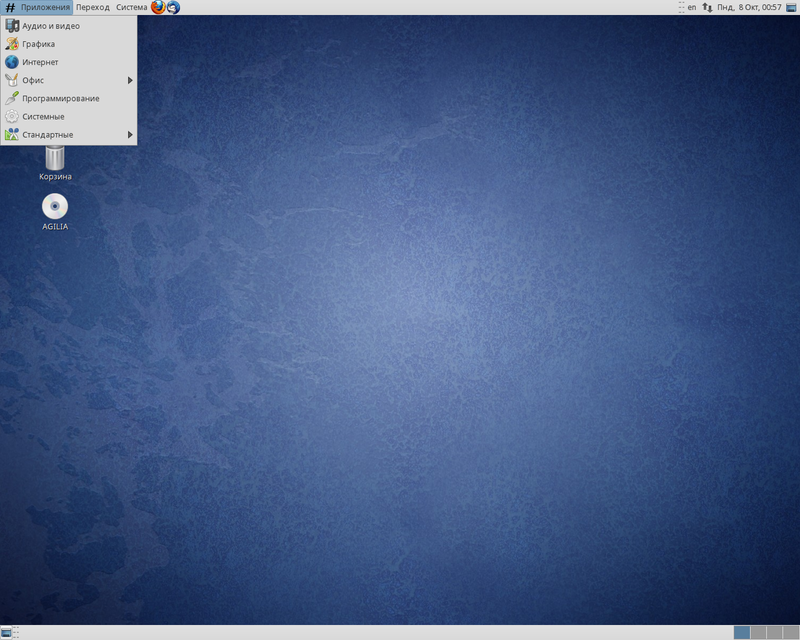 Firefox 23.0.1, Thunderbird 17.0.8, TeamViewer, Skype, Linux kernel 3.10.7." Here is the brief release announcement with a link to the project's bug tracker. Download: pardus_community_2.0rc2_gnome_64bit_en.iso (1,799MB, MD5), pardus_community_2.0rc2_kde_64bit_en.iso (1,962MB, MD5).